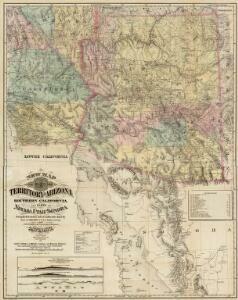 New Map Of The Territory Of Arizona, Southern California And Parts Of Nevada, Utah And Sonora. 1 : 1013760 Ward, J.W. 1 : 760320 Ives, J.C.